The new Pega APIs for system management support end-to-end troubleshooting and administrative operations that were available in the System Management Application (SMA), which has been removed from Pega Platform™. In addition to the new APIs, new privileges allow you to control which users have access to individual APIs. 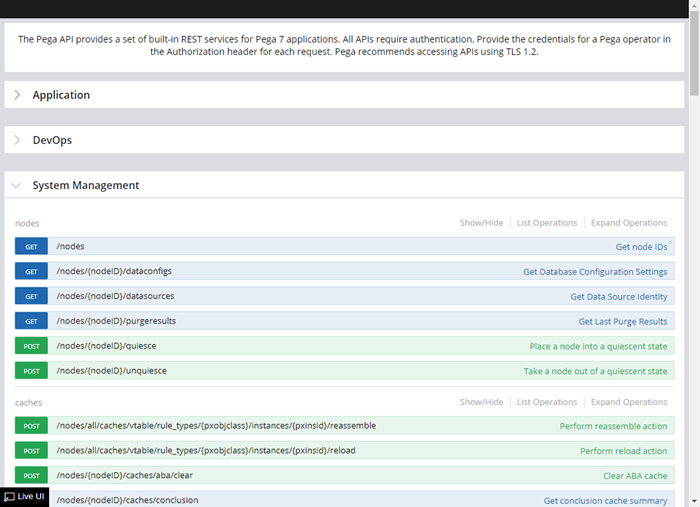 For more information, see Pega API for Pega Platform 8.1 and Pega API system management privileges.